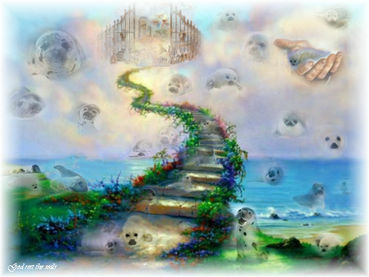 Seals are lost to the hunt each spring in my country.From a childs view to an adult.A more soothing memory of seals now in peace in heaven as opposed to the tears that can flow when thought of being robbed of their lives & fur in such a tragic way. Thank-you ,very beautiful poem. I believe, God will always keep his creations save in heaven, and those that hurt them, God will take care of them someday!!!!!! I love your poem...very sweet and moving...just like those baby seal pups. Thank you so much for sharing.